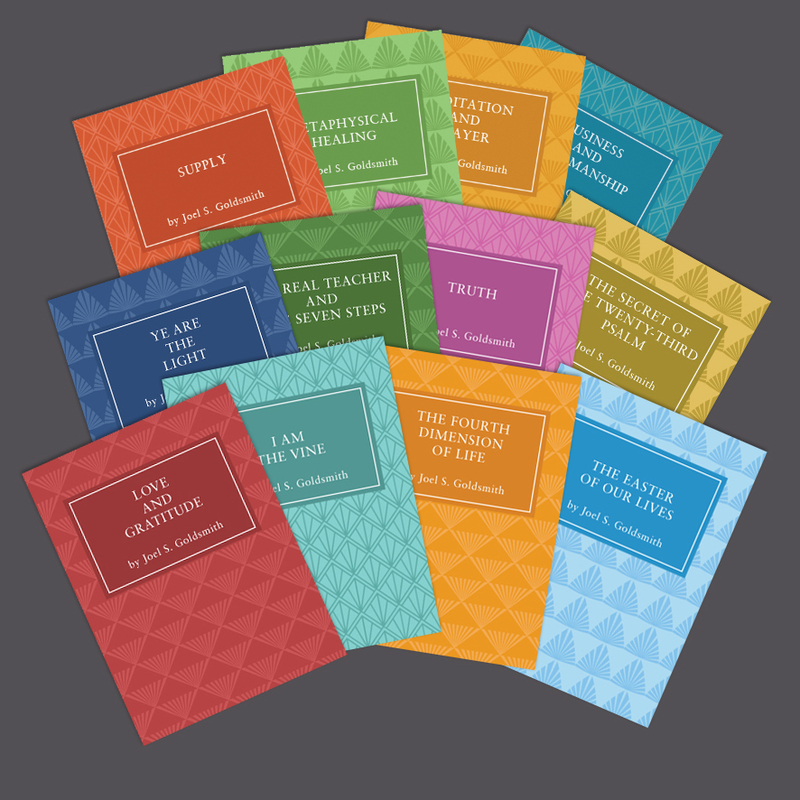 We were contracted to design a set of nineteen booklets based on individual chapters from various books by the author, Joel S. Goldsmith, a mystic from the first half of the 20th century. We chose a series of five different patterns for the covers, each in a different two-tone, monochromatic palette. The interiors are formatted to be both attractive and easy to read. These pamphlets were then uploaded via the CreateSpace Publishing-on-Demand platform for sale on Amazon.